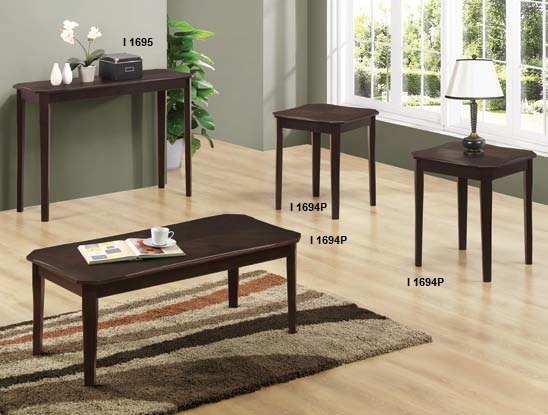 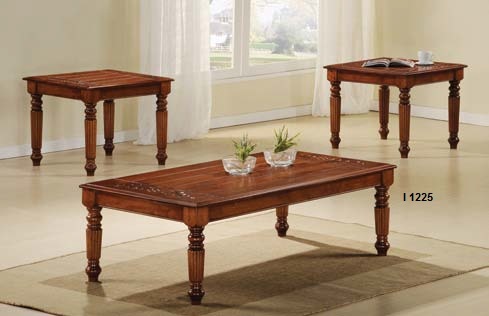 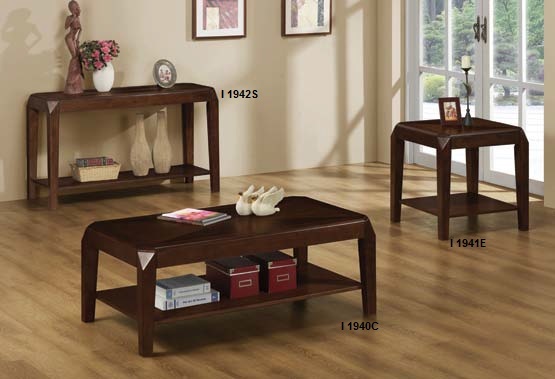 I-1940C Coffee Table Set includes: Coffee Table, 2 End Tables. 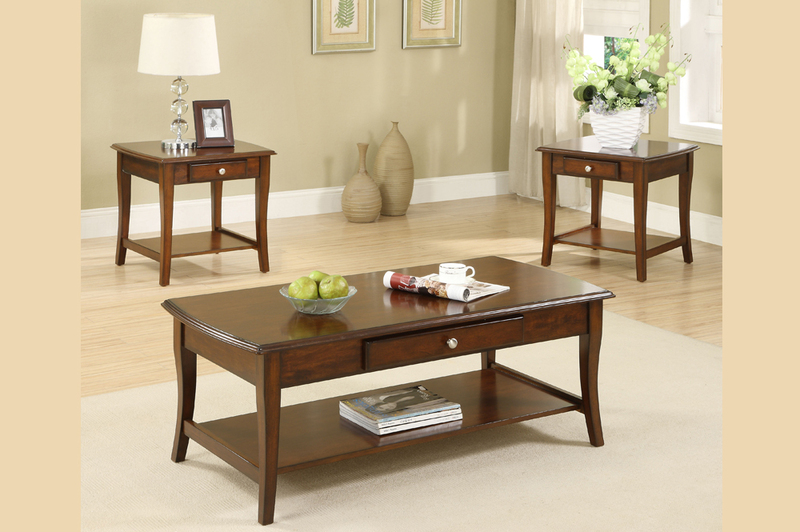 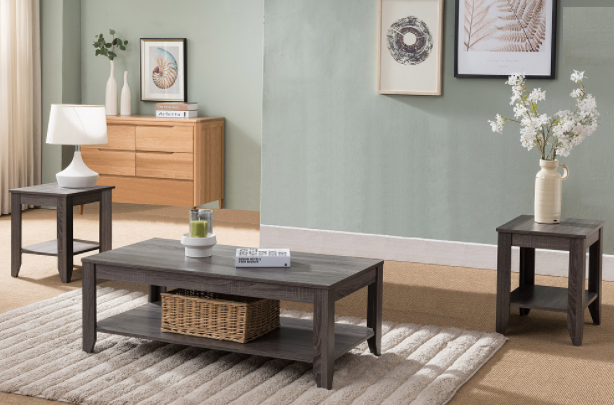 This cocktail table offers rich design and transitional styling that invites a relaxed setting into your home. 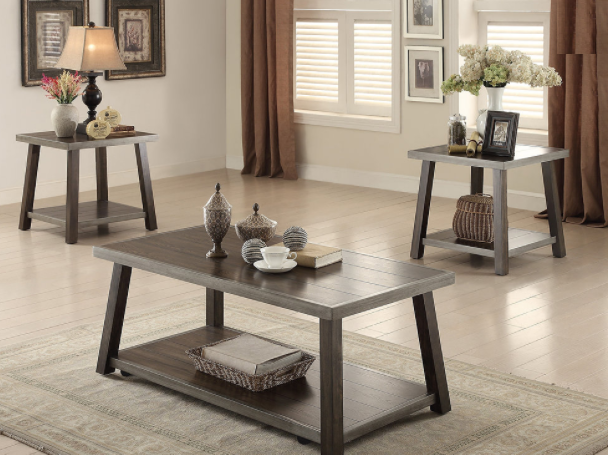 Use the open bottom shelf to display your favorite accent pieces or for added storage. 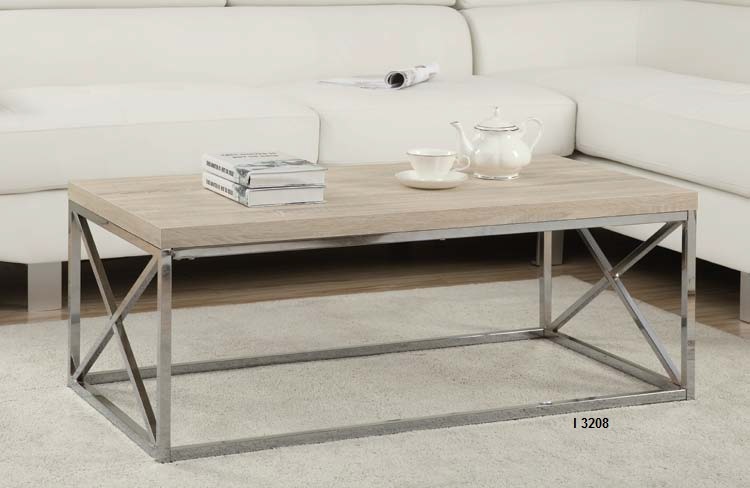 Finished in a triangle-designed brown oak veneer top, this clean lined rectangular shaped piece will add a touch of simplicity and class to any home décor.